I really, actually, truly cannot believe that August is nearly over. Where did the summer go?! No really, where did it go?? I am not ready for fall. Don't get me wrong, I love college football and pumpkin spice everything and leggings and scarves as much as the next gal, but with fall also comes other not-so-nice things. Like classes. At this point in my schooling (going on 20 years...), I'm jussst about OVER classes. Fortunately I only have a few left, but I'm squeezing three of them in this semester. And they're all night classes. That I have to go to after working all day. Eeeesh! Are you over my complaining yet? All I'm saying is.... I'm not ready for fall just yet. And fortunately, it's not here just yet! There are still a few steamy hot weeks of August left and I'll relish them. This weekend, I'm going to the lake with some friends and I couldn't be more excited. Sun and a body of water is all my soul needs! You know what else I'll miss about summer? Salads. I know, I know, you can eat salads whenever you want and in whatever season you'd like. But I actually enjoy eating salads during the summer. I crave salads when it's hot outside. Not so much when it's 30 degrees. My one problem with salads, however, is that they can leave me a bit unsatisfied. Not quite full. Having a lunch of spinach, tomatoes, and cucumbers with a bit of dressing ain't gonna cut it for me. Even when I add a protein, a low carb salad tends to leave me needing something else. That's why the 17 day diet was so difficult! I can eat loads and loads of chicken and veggies, but it's just not quite satisfying without some grains. Basically... I know my body, and my body loves carbs. That's where this salad comes in. It has all the goodness of a fresh, vibrant green salad plus the addition of warm spiced chicken, filling brown rice, and steamed green beans. The lemony basil dressing is a perfect addition. 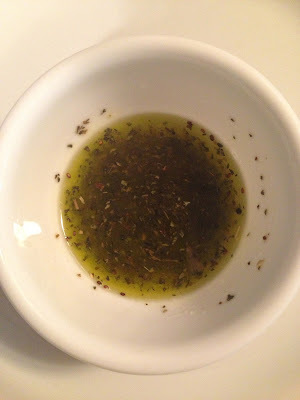 Remember my last post about making your own salad dressing? This one is a great place to start! So, so easy. I never claimed to have complex recipes on my blog. This is my perfect lunch: simple, easy, fast. Made from real, nutritious, clean ingredients. Still, I was actually surprised at just how much I enjoyed this salad. I knew I'd like it, because I like everything in it. But it all came together in such a wonderful, flavorful, cohesive way. The combination of cold spinach with the warm ingredients and the tangy dressing... it is the perfect filling, tasty summer salad. You've gotta try it! Prepare your chicken. 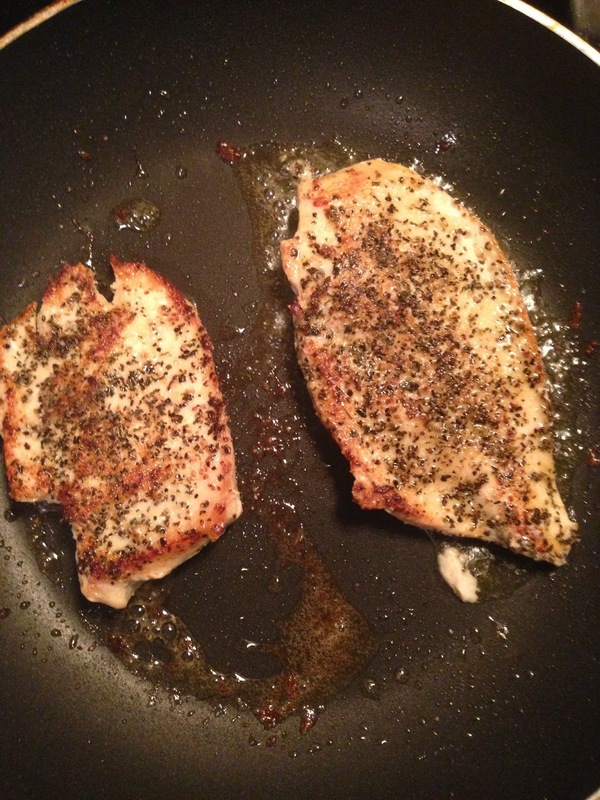 I basically made my spiced chicken recipe, just in a smaller batch. 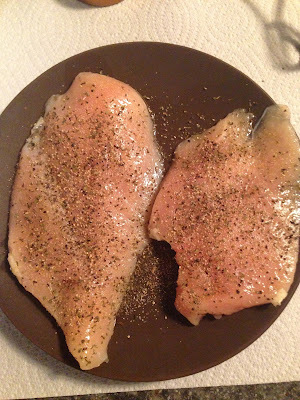 Season 1 or 2 thin chicken breasts with sea salt, course ground black pepper, dried basil, and garlic powder. Heat a tbsp of olive oil and a tbsp of butter over medium heat. Once hot, add the chicken. Cook for about 6 minutes per side, or until browned and cooked through. Tent the chicken with foil until ready to plate. Meanwhile, make your dressing. Combine a tbsp of extra version olive oil, a tsp of apple cider vinegar, the juice from half a lemon, and 1/2 tsp of dried basil. Whisk. If you need to adjust your amounts of oil and vinegar, do it. That's it! Set aside. Steam about a cup of green beans. 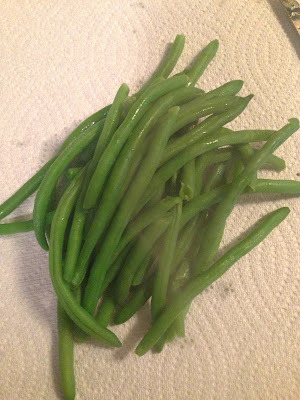 I took a shortcut and steamed Trader Joe's frozen green beans in the microwave. I told you I like easy! Chop into 1-2 inch pieces. Then, combine with half a cup of prepared warm brown rice. I took another shortcut here and used Trader Joe's frozen brown rice. I love that stuff! 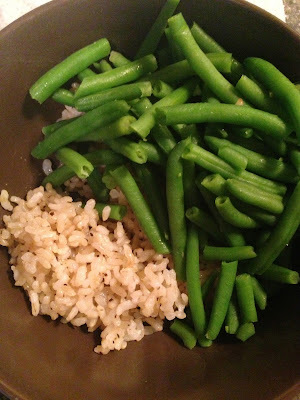 Pour about HALF of your prepared dressing into the rice and green bean mixture. Stir to combine. This on its own is delicious! Your brown rice and green bean mixture and your chicken should be warm. If anything has gotten cold, just pop it in the microwave for a few seconds. 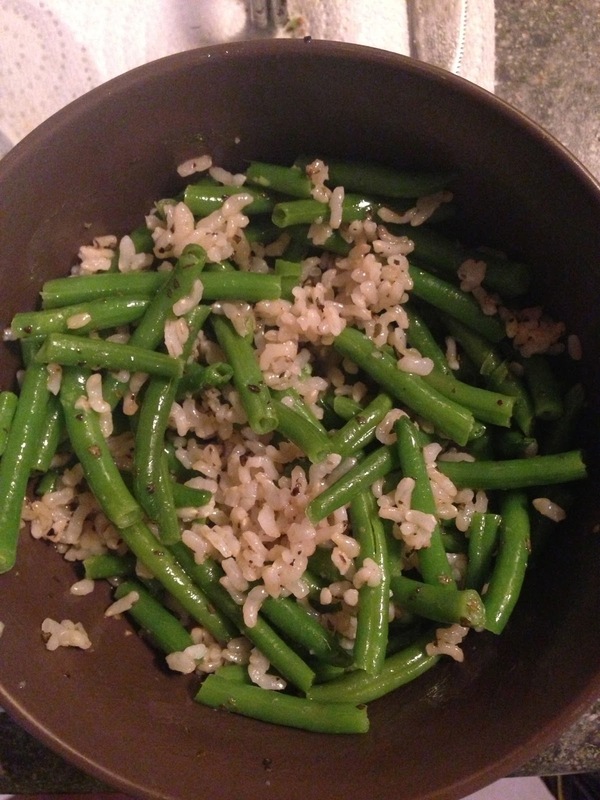 Top with the brown rice and green beans. Then top with the chicken. Pour the remainder dressing overtop. And enjoy! If you're like me, you'll then cut it up into little pieces and combine it all into a big plate of deliciousness. -Season your chicken with sea salt, pepper, basil, and garlic powder. -Heat 1 tbsp olive oil and 1 tbsp butter over medium heat. Once hot, add chicken. 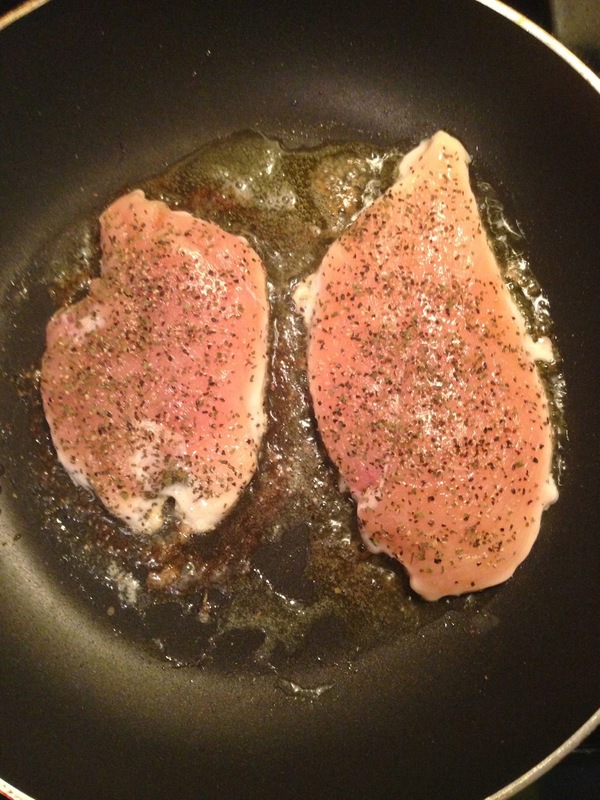 Cook for about 6 minutes per side, or until browned and cooked through. Once down, remove, plate, and tent with foil. -Prepare your dressing: whisk together 1 tbsp olive oil, 1 tsp apple cider vinegar, the juice from half a lemon, and 1/2 tsp dried basil. -Mix warm rice and warm, chopped green beans in a bowl. Pour in about half of the dressing. Toss to combine. -Once chicken has had a few minutes to rest, chop into pieces. 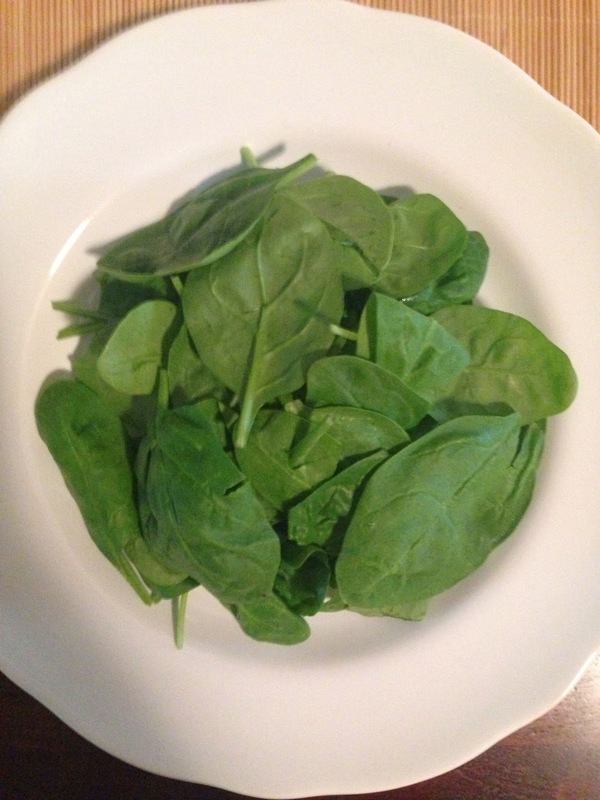 -Add spinach to a plate. Top with the rice and bean mixture. Add chicken on top. 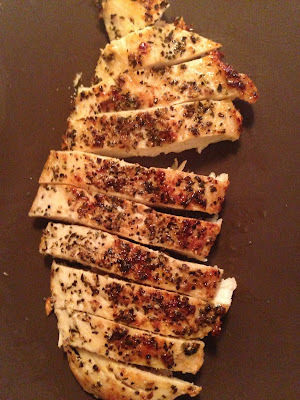 Drizzle with remaining dressing. yum yum yum and more yum - I can't wait to try this!!!!!!!!!!!! Also, I'm a huge fan of the short cuts you mentioned esp. the rice!